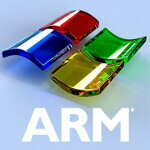 Windows 8 ARM tablets to drop the desktop, only have Metro UI? In an interesting change of strategy, Microsoft will be dumping the desktop version of Windows 8 for installations on ARM tablets. Microsoft had previously said that all versions of Windows 8 would have both the Metro and traditional desktop UIs, allowing them to be “all things to all people”. In a way this change makes sense. "Legacy" software written for the x86 version of Windows wasn’t going to run on ARM chipsets anyways unless they were rewritten. Subsequent announcements had provided further separation between ARM tablets and other Windows 8 devices. In September Microsoft announced that only the desktop version of Windows 8 would support Flash, and that Windows 8 tablets wouldn’t even load the desktop environment unless it was specifically launched by the user, essentially relegating the legacy desktop to nothing more than another app on Windows 8 tablets. They simply won't be supporting the desktop UI "app". This means that if you were hoping to run Photoshop CS7 or play World of Warcraft on your tablet you will have to shop for an x86 version. On the other hand, we’ve already seen touch-based versions of Photoshop and other productivity software ship, and you can bet that Microsoft will have and Office Suite ready to go from day one. This also may make the ARM/Metro UI tablets a better competitor against the iPad and Android tablets; analysts feel that Microsoft will be late enough to the tablet party that they’ll have to really hit a home run to start regaining market share. Does this impact anyone’s decision on a Windows 8 tablet? Do you prefer to just have Metro on a tablet, or will you be looking for an x86 version to run your existing software? Let us know below. One word: ICS Two words: Android 5 With touch optimised productivity apps, and with quad core power behind those androids, I don't need windows. thx for advertising something you don't used yet for longer then a month. I honestly fail to see how a mobile operating system could ever outdo a true computing system. You fail. Yeah I see your point. Since there is no "advantage" to running Win8 on a tablet over Android. IMHO(and yours). So basically Windows 8 tablets are going to be ... Windows Phone 7 tablets?... Nice try Microsoft. You ain't foolin me. Put the damn desktop on there otherwise you have no advantage. the wonder of the windows8 tablet is that it was desktop compatible. I really dont like that they are splitting the brand between windows8 - PC compatible, and windows8 -tablet toy. Maybe there will be a large price difference with the intel chips or something.. I dunno.. it just feels like they are polluting their one chance at really standing out with their tablets. full PC compatibility got me excited. Without it, win8 tablets are off my radar. Told ya it was going to be hard, if not nearly impossible for a tablet to bring what you want back from your PC, the problem with this tab business its that it wont grow unless people get the idea of their heads that they tab could work like their PC's tablets are here to change more than just how portable something is but to make a new experience that will grow away from a desktop or laptop, the problem with tabs its the limited number of productivity apps but that seems to be changing with new development tabs will become as productive. I agree proto. Tablets have limited computing power compared to a pc and it will be that way for a while. I think trying to make it a pc will be an instant fail. Apple has it right. With time apps and processors will become better and they'll be able to do more and more. i can hardly believe that banned-taco-geedup thinks apple is 100% right. proto, its going to be quite a while before you can fully put a PC experience into a tablet, but you have to lay the groundwork. If they can make the tablet win7 compatible with full MS office, my school productivity stuff, and powerful enough to play starcraft1 or portal, I would call that 100% win. Im not expecting PC power, Im just expecting the first steps down that road. It wont be but a few more years (probably the next step after cortex a15) until they start to really have the power to merge pc and phone/tablet together. We are getting close for the first time in our lives, and Im antsi to see it happen. :) And, for the record Taco-Geedup, Apple is 100% WRONG in this instance. If we dont keep pushing the envelope closer and closer to a PC experience we will never ever get there. Apple has no interest in that envelope. they only have interest in high margin products. It takes too much money to revolutionize.. which is why apple does baby steps. Samsung spends more on R&D for their chips in 1 year than apple does in 4 years or more. Go look up ACER ICONIA W500 and see what I am running Windows 8 on. I have Office 2010 up and running, there are two parallel browsers in IE10 so I can view flash, I have all of the options of Windows 7 and I am never going to look back. Windows 8 is the tablet computer we have all been waiting for. Microsoft know what they are doing. I'll say: no it won't have an impact on my decision on a WP tablet. I will rather use other functionality on my destkop pc. i 'll say i am really looking forward to experience W8 on a tab. If the windows tablets dont come out in x86 base I will keep my smartphone and my Windows Laptop. Maybe I'll pick up a chearper tablet like the Kindle Fire, just to spare my phones battery when I'm sitting at home watching tv or whatever. Well, I honestly think that windows is a relict of the past, just that you people don't see it. Mobile operating system is still looked at as something downgrading, while in reality it is a huge evolution towards proper, functioning, efficient and simple and easy way of interacting with computers. Mark my words, future belongs to unified versions of android and apple operating systems. Windows is just a really faulty product that we were forced to use. I had the same anger towards MS as you do until I bought an xbox360 And my thoughts totally changed. Now I only use MS products. Why won't. I use Apple's stuff? Too expensive. How about Google? They don't have xbox. The future definitely belongs to unified OSes. That being said, Microsoft is trying harder than both Android and Apple to unify their OS across all types of devices. Windows Phone 7 provides a greatly optimized interface for efficient and simple use. Microsoft has had the Kinect for XBOX for a while, a more natural way to interact with devices than anything employed by Android or Apple. Furthermore, Microsoft is releasing a Windows version of the Kinect next year. I completely agree with your assessment on the future of human-computer interaction; I don't agree with your assessment on Microsoft's lack of recognition on where we are headed. i still think MS has a chance to lead the way. Penny, you bring up some great points about interraction with MS products. it wont be too long until MS can squeeze kinect tech into a tablet, which would be groundbreaking (if not funny, watching people wave n such to their tablets.. lol) Its going to be a long time until the "PC" dies away and becomes replaced with more basic OS's.. if ever. I still think it will go the other way. As tablet CPUs become more powerful (they are still toys compared to their PC bretheren after all) you will see more PC like features and compatabilities added to them. But also, like apple has shown with their latest OS, that phone/tablet OS enhancements have a place in PCs. I think the future will be a hybrid between PC's and tablets.. one OS for both devices ( slightly more pc than tablet)... and the Win8 with x86 processors would have been the biggest step in that generation yet. I think you are right about the next step being the hybrid device model -- tablets and PCs both running the same stuff. However, my focus has always been on what might be present even further down the road. As Microsoft's CSO said in a recent interview, I feel like what we are heading toward is a future where the OS is what matters, and the goal is to be able to just plug in to that OS within your environment anywhere you might be. Like plugging something into any outlet that is connected to a power grid. 100% compatibility with everything? That would be a beautiful dream, but corporate reality from closed systems like Apple's would keep that from happening. There will be a point.. which we are actually getting close to... where our machines are more powerful than any OS can handle. 5 years ago our most powerful phones were blackberrys so basic that email was their strong point.. 5 years from now our phones will be strong enough to run anything our PCs can do now.. if not even more so. I really dont think IBM has a big chance with bringing the x86 processors to the phones.. I think what's going to happen is we are going to see a paradigm shift and ARM processors are going to work their way up to the big boy toys and It will force MS and Apple to convert for the ride. And why not? ARM a15 designs are going to be extremely powerful. They would be perfect for low cost tablet/laptop/PC markets. A tablet/laptop that runs a hybrid OS, sips power so it lasts for many hours compared to tablets/laptops now, but yet has enough poly pushing power to do almost everything people do on the run. Thats the future that I'm waiting on. The OS side will take care of itself, though I dont think that it will be unified. Unfortunately I think everyone is going to have to eventually commit to one OS or another to get that "compatibility" that you mentioned. I doubt apple,MS, and google will ever see 100% eye to eye on a universal standard (though google is the most likely candidate to try for such things). Oh no, I did not mean to imply that my vision of the future is one in which there is a universal OS. What I was trying to convey is that the maker of each OS will have a unified platform and virtually unlimited access points, but the consumer will still buy into one platform or the other. That would be the point at which the "ecosystem" paradigm is perfected. Right now, I could be perfectly happy with a WP7, but I still have a MacBook Pro, so I am still mixing and matching. But at some point, people will be deciding which entire ecosystem to commit to rather than what devices to buy. And I still agree with your outlook on hardware in the near term for the most part. Although, I feel that more than just continued increase in performance and mobility, we are entering the phase in which we will see some real creativity in implementation. Augmented reality is extremely interesting to me, as well as the use of portable projectors, kinect-type systems, touchable holograms, etc. Of course, what will allow us to do these things is having portable processing power that is capable of handling it, as you were explaining. Oh, sorry I misunderstood the first point. I totally get behind it now that I understand where you were coming from. :) As a side note, i think now more than ever.. people are consciously (or subconsciously) buying products of a similar ecosystem. Apple iphone owners are working themselves into ipads and imacs.. android owners are largely getting honeycomb tablets and are more likely to try Chrome OS.. on and on. We may be pulling ourselves towards that unified system faster than we think. I still think the big winner will be MS. They are already there.. they just have to work on their interconnections a bit more. In fact, with the next Xbox360 update, they do just that.. They are making it look Metro UI, adding more Kinnect controls and adding better inner-eco functionality. They have already won on the PC, video games, and car.. now they just need better WP7 sales and some windows CE style device integration with more appliances. If a Windows tablet could actually do everything that a PC could do than I'm down, if not I'll stick with my Android tablet. It can and does. I downloaded the developers version of Windows 8 a month ago and within 2 weeks I was comfortable and impressed enough to remove Windows 7 completely and am only using Windows 8 on my Acer Iconia W500. And this isn't even a Beta version yet.